Asia Infotech is Ahmedabad’s leading technical solutions provider who regularly works with different companies within engineering sectors to present them with innovative solutions. Apart from offering companies with regular technical services, the professional working with Asia Infotech can also deliver state of the art mechanical design services that are completely apt for the competitive product designing industry of today. Asia Infotech is a company based in Ahmedabad known for offering high end technical solutions to different companies operating in engineering sectors. While they have been in business only since 2009, within this very short time they have established themselves as one of the best firms in this industry with their superior quality and customer friendly approach. They are known to present some of the most effective mechanical design services to companies who are involved with product designing and HVAC development. While many companies are known to offer standard expertise when it comes to mechanical drafting services, the professionals at Asia Infotech take it to the next level by coming up with innovative, out of the box solutions to common and uncommon design challenges. 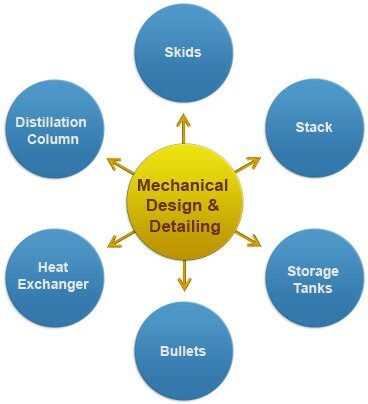 It is for this reason that companies operating within the petrochemical, waste water treatment as well as oil and gas industries regularly hire the experts at Asia Infotech to handle their mechanical design requirements. The professionals at Asia Infotech can present clients with one of a kind mechanical 2D drafting and mechanical 3D modeling services that in turn help them to fulfill their project goals. All of the professionals working with Asia Infotech are highly experienced in their areas and can deliver customer specific support. Asia Infotech is a reputable organization known for offering reliable mechanical design and drafting services to numerous companies in India. By making use of advanced software systems, the experts at Asia Infotech makes sure that all of the designs are flawless and meets the specific requirements of the clients.